VdB 38 , also known as Sh-2 263 , is a single- emission, fragmentary reflection nebula , visible in the Orion constellation . 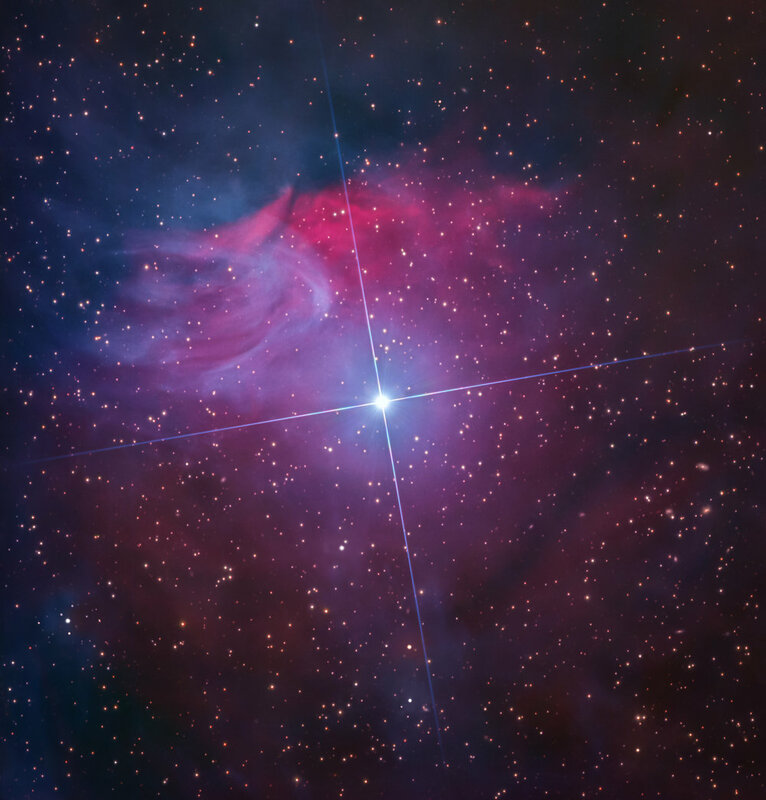 It is easy to find about two degrees to NNW of the brilliant Bellatrix star (γ Orionis), which is the northwestern summit of the large rectangle that delimits the figure of Orion; The star of the nebula gas light is HD 34989 , a magnitude 5,78 magnitude -star blue-blue star , well visible to the naked eye on clearer nights. The cloud appears distinct in a shining part for reflection of the star light, and in fact shows a markedly blue color, and a part on the background that appears ionized and has a reddish light. Part of the gas cloud that is part of vdB 38 is not illuminated and looks like a dark nebula masking the light coming from the behind-the-scenes stars; This obscured part returns the abbreviation LDN 1588 ( B 223). The distance between the cloud and the star would be approximately 736 light years according to parallax studies , which would place them in the most peripheral regions of the Orion Complex .